HTC and Nokia are preparing to go head-to-head with new cameras on upcoming smartphones, as they hope to steal market share from Apple and Samsung Electronics. This year will once again see the camera become a key feature as smartphone vendors try to differentiate their products. "Differentiating your device on looks alone has become almost impossible, which has resulted in manufacturers looking back at some of the other features on the phone as a way to differentiate what a consumer gets and give salespeople some hooks, and the camera is a very, very useful vehicle to do that," said Ben Wood, director of research at CCS Insight. The importance of cameras in people's daily lives has grown exponentially because of social networks like Instagram and more people using the phone as their primary camera, according to Wood. Already this year, vendors are focusing more on the camera and video capabilities of their smartphones. 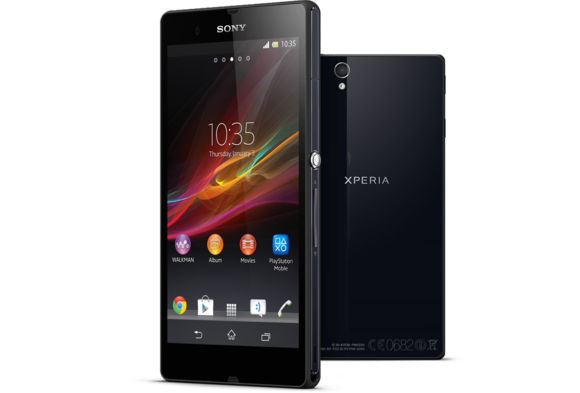 At International CES, Sony announced the Xperia Z, which uses HDR (High Dynamic Range) technology when shooting video and still images. The Android-based smartphone also has a burst mode that can take 10 pictures per second at a 9-megapixel resolution until there is no more storage. Meanwhile, the BlackBerry 10 operating system has TimeShift, which takes a rapid series of images and lets users choose the best facial expressions in each one and then combine them to one picture. What may HTC and Nokia offer in cameras? It seems like HTC and Nokia may have something more spectacular in store. HTC will be first out of the gate when the company presents its new flagship smartphone in an event in New York City on Feb. 19. The rumored M7 is expected to combine three 4.3-megapixel sensors to produce a single, better image. HTC isn't commenting, but a blog posted earlier this week does state that it will offer a new "camera experience" in 2013. The post is entitled "A Brief History of Photography" and includes criticisms of the effort to increase the number of pixels as a way to improve image quality, which lends some credence to the idea that HTC will choose a different approach. One of the digs is specifically aimed at the 41-megapixel sensor on Nokia's Symbian-based 808 PureView, which was launched at last year's Mobile World Congress. Nokia declined to comment on the post, but the image quality produced by the 808 PureView has received a lot of praise. Since its arrival, hints from Nokia have helped spark industry rumors that the underlying sensor technology will be transplanted to its Windows Phone-based Lumia family, and the latest round of reports now say that a device dubbed EOS—which is likely a code name, since the term is already being used by Canon—will arrive later this year and do just that. The challenge for Nokia will be to develop a phone that isn't too heavy and/or bulky, which the 808 PureView and Lumia 920 are, according to reviewers of the devices. The latter offers optical image stabilization, but too much bulk could offset all the advantages users would get in terms of image quality, according to Malik Saadi, principal analyst at Informa Telecoms & Media. Nokia's next big launch event will be on Feb. 25 at Mobile World Congress in Barcelona. Nokia and HTC both had a difficult 2012, as they did their best to compete with Apple's iPhones and Samsung's Galaxy family, especially the S III and the Note I and II. On Monday, HTC reported its results for the fourth quarter. The company's revenue shrunk compared to the third quarter, which isn't a good sign since the holiday shopping season should have given it a boost. Also, HTC's operating profit dropped by 95 percent year on year. "The company started 2012 strongly with the One X, and it had a window of opportunity with that device until Samsung arrived with the Galaxy S III. But the marketing approach HTC chose didn't cut through, and it was outgunned," CCS' Wood said, adding that Samsung's 2013 portfolio will be critical to the future of the company. Nokia managed to make a profit during the second quarter and the sale of its Windows Phone-based Lumia smartphones is slowly picking up, but the company is by no means out of the woods. The rest of the year will be just as critical for Nokia as it is for HTC, and the Finnish company has only two options for 2013: either significantly increase sales or change its strategy radically, according to IDC's Francisco Jeronimo. Note: The TechHive mobile team will be in Barcelona for Mobile World Congress starting on Feb. 24. Stay tuned for our coverage.